The free edition of Angry Birds Space HD is now available for download for iPad on Apps Store. 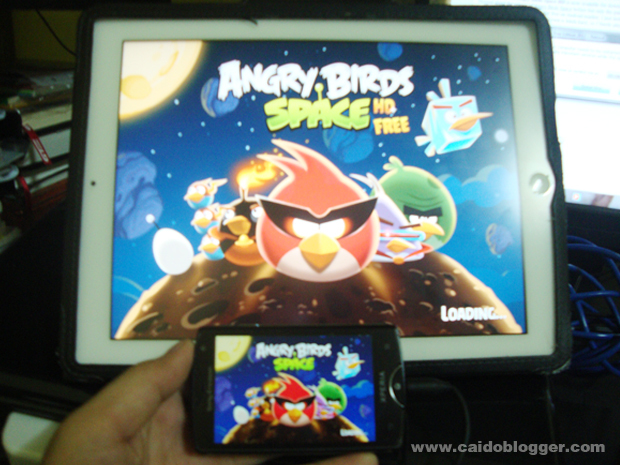 I have already blogged about the release of Angry Birds Space before but only the paid version for iPad was available then. Since it can be downloaded for free on Android market, I just installed the app on my Xperia Mini. But playing it on such a small screen is kinda hard, so I barely played it on the phone. This free version of Angry Birds contains third party advertisements. If you want the ad-free version, you need to purchase it for $2.99. As expected, playing it on a much larger screen was way too better and easier. But still, Angry Birds Space HD failed to steal the top spot for my most favorite mobile game, which still belongs to Fruit Ninja HD of course! lol!